If you are a business owner, then you should be aware of the fact that social media is one of the most important digital marketing tactics that you should be using. Social media has got the potential to put your business in the top rung of your specific industry and get you more revenues and customers. It is crucial that you use thee different social media platforms that are available to make your business become more popular and reach out to more people. Social media has also got the potential to make your business become a global brand with time. 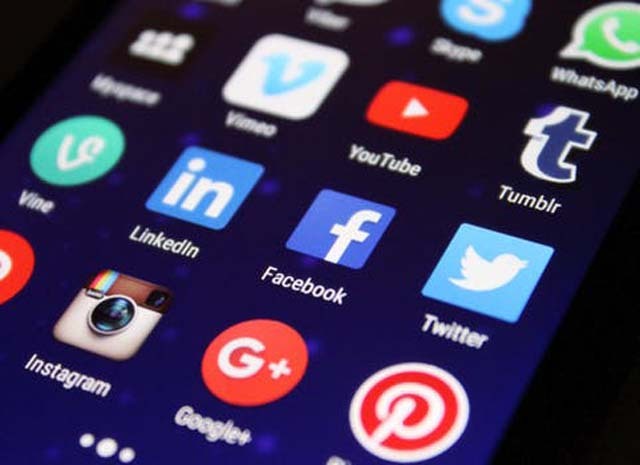 In this article, you will be learning about the main reasons why you should use social media for your business purposes. Social media has developed a lot in terms of its functionality and the reach that it has in the last few years. It has gone on to change the way in which brands are getting to interact with the different audiences that are made up of the current and the potential customers which you may have. Today the number of people using social media is very high and it will only increase in future. How did social media get so popular? Roundabout a decade ago when the internet was getting more popular in the culture of the public domain, there was a lot of business establishments which went on to create their own presence on the internet by simply having more and more control on the messages and contents that they shared on the Internet. Earlier on, business owners used to get more interactive and communicate with people by just putting their email links and the contact information from their business website. Reviews of their products, systems of commenting, providing feedbacks and such issues were all basically nonexistent. Business owners would mostly forward their emails to different customers, and the number of people who used the internet was just a tiny fraction. Also, it is important to note that the search engines were really slow and quite inefficient. Thus, brands had very little chance to communicate with different consumers. Social media websites like Facebook were slow to pick up also. Earlier on, they had a really tiny demographic consisting of just a small number of people and doing marketing on the platform was impossible. It was mostly then used for sharing personal photos. At that time, there was not much tolerance also for using any form of promotional activities also. The social media community did not like to indulge in anything that had any commercial intent. This fact is true in some social media sites even today, and the content requires going through a lot of tests in order to get featured on the top. The social media marketing today has evolved a lot from that, and it takes place on a more democratic form of way. A lot of business owners have today adapted with using such a form of the marketing model. Many business owners have learned how to use the system of marketing efficiently and do not rely too much on how the system can be modified to ensure that there are no negative results also. Today, in order for any brand to prosper in the world of social media it is essential that they should offer some value on the messages that they put out so that they can gain more views and shares and likes so that they can reach to the top. Should you be using social media also and how can it change your business? The entire business landscape today has changed through social media and through social networking. A lot of companies who have adopted them have developed and those who did not have also been impacted. Social media allows a lot of people to share their content in between a large number of people, the focus is now strictly on the contents, and the social networking aspect is more or less focused on the members who are engaged in conversations and in between groups who have similar interests. Facebook is a social media platform that is now straddling both of these aspects, and it has now got over five hundred million subscribers throughout the world, and it actually welcomes a lot of companies and organizations to come and utilize the platform it can provide in order to connect more with the audience. Almost every social media platform is now integrated with some form of a method for allowing marketing to take place and this has allowed a number of users to become new curators who can create interesting content or share different links and images along with short personal and relatable stories. Business owners who learned how they could create interesting content and then engage in different conversations would be quite effectively involved in social media marketing these days. A lot of companies which have now embraced this are now reaping the rewards compared to the ones which have not. Looking at the specific statistics, almost ninety percent of the population visits a particular social media website at least about once every month. The social media websites are the ones in which most people spend the maximum time when they are visiting the internet. The rise in popularity of these websites has coincided with the fall in the prices of smartphones and internet plans. This means that more people are now able to remain online for comparatively fewer prices. Thus, people from various age groups are now online. This is only going to get more in the future. Thus, social media platforms are here to stay for a long time. As social media marketing is complicated, you will need the right tools to send the right message to the right people at the right time. Social media websites will help you to develop your business more and ensure that you get more revenues. Hopefully, the information mentioned in this article will have helped you. Barrack Diego has worked as an editor and writer for more than 10 years. He enjoys mentoring young and upcoming writers. To find out more about web design, SEO, Social Media, Marketing, Business and UI/UX, visit Bigdropinc.com or to follow on Twitter. How Giant Companies Use Artificial Intelligence and What Can We Get Out of It?